WHAT IS Deaf Cultural Celebration? How does Deaf Culture fit into current media platforms? How do we increase awareness of Deaf Culture? Come on down to our Deaf Cultural Celebration and learn how our beautiful Deaf Culture can be shared through literature, art, social media, and more! Interact with our Deaf presenters who have taken the world by storm! 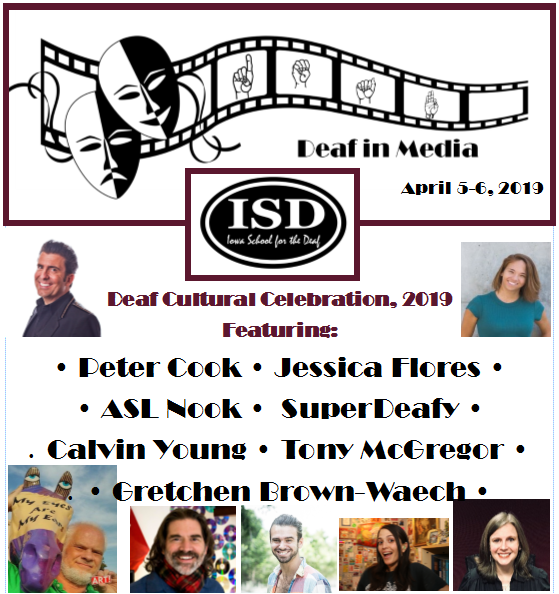 Celebrate Deaf Culture! The Deaf Cultural Celebration workshops are free to attend. Tickets for the "Celebrate ISD" Carnival are 25 cents each and meals during the workshops are $5 each.